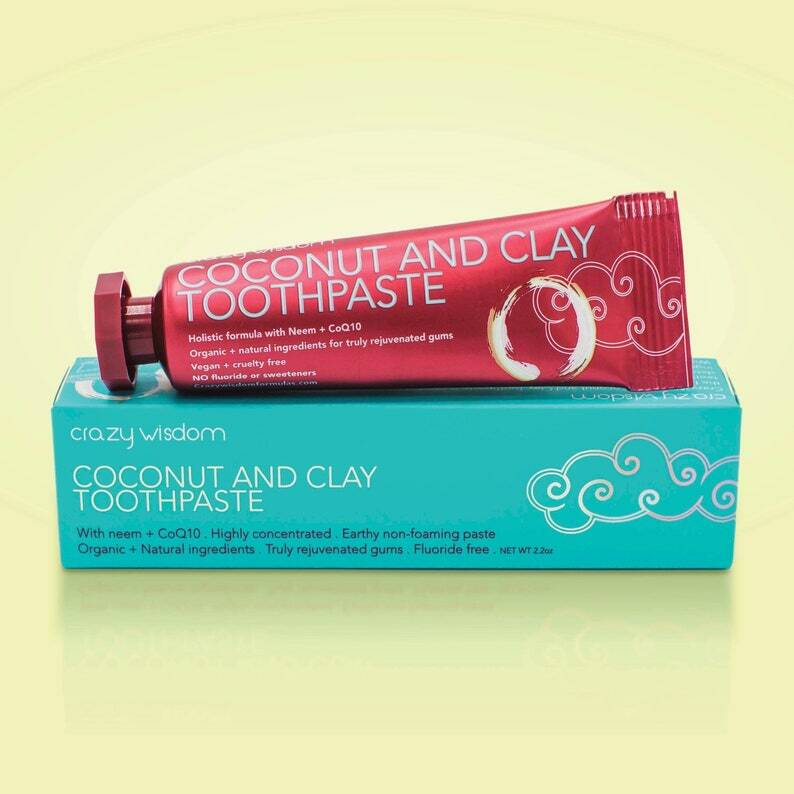 Crazy Wisdom Coconut and Clay Toothpaste is a handcrafted, holistic toothpaste formulated with the absolute best ingredients for natural oral-care. Micronized Zeolite Clay, Calcium Bentonite “Living Clay”, Organic Virgin Coconut Oil, Alkaline Water, CoQ10, Baking Soda, Organic Neem Oil, Saponified Organic Coconut, Olive and Jojoba Oils, Organic Aloe Vera, Rosemary extract, Organic Sea Buckthorn Oil, Organic Cinnamon, 100% Pure Oils of Oregano, Tea Tree, Peppermint, Spearmint, Rose, Thyme, Celtic sea salt and Grapefruit seed extract. 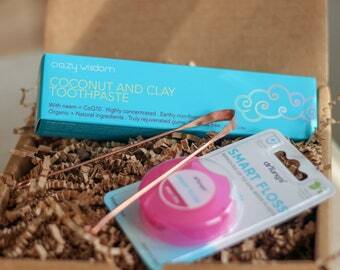 A lovely natural Toothpaste and happy with my purchase! but with all the high quality ingredients my teeth have enjoyed! (gorgeous colors) , gives a clean wash and brightens too! Shipping was quick and item was just as described. I was surprised to find that I did actually enjoy the flavor and did not miss the foaming action of my other toothpaste.